His and Hers Restaurant Reviews responsive website was a side project for Bo which was created over two weekends. 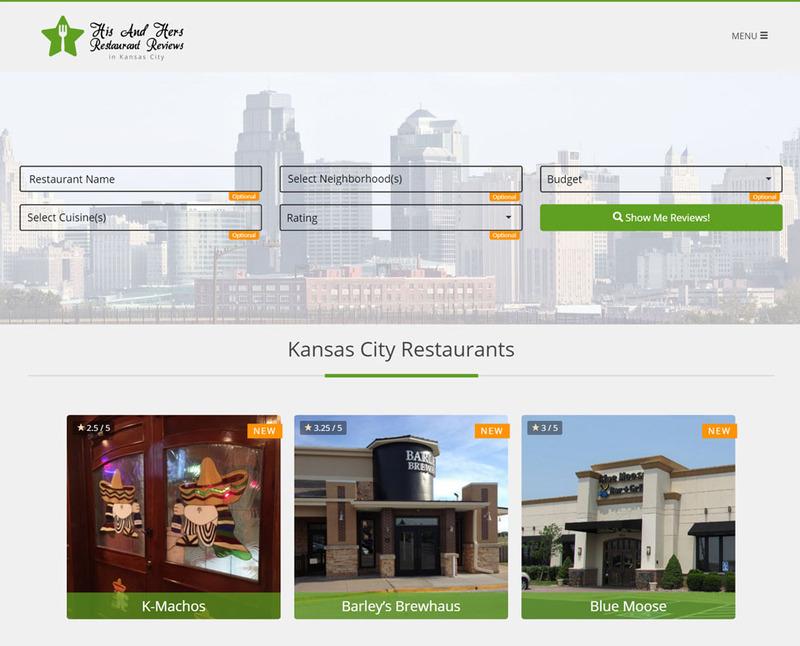 The website provides a unique perspective on Kansas City Restaurants from a male and female point of view with each their own rating provided. Every restaurant visited by Bo and Barb in Kansas City will go through a specific set of standardized criteria in which the Kansas City Food Critics will be judging on. The project took 4.5 days and was completed over the span of two weekends. Initially the website was going to use a WordPress theme called “puzzles”, however after purchasing the theme and looking through the source code it was quickly determined that a custom theme would be created from scratch. The unfortunate downside to using WordPress templates is that more often than not the theme has thousands of lines of unnecessary code, doesn’t provide the exact functionality you want, and can sometimes be a security risk. In the end Bo scrapped the WordPress template and created a custom WordPress theme from scratch with the exact look and functionality desired. In the end, the website www.kcreviewed.com turned out quite nice for less than 5 days of work.